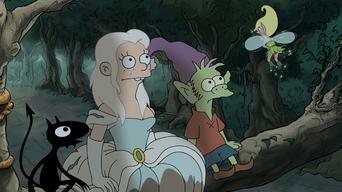 How to watch Disenchantment: Part 1 (2018) on Netflix Denmark! 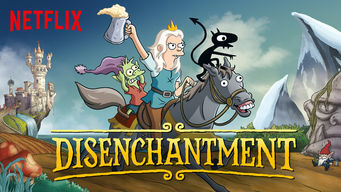 Yes, Disenchantment: Part 1 is now available on Danish Netflix. It arrived for online streaming on August 17, 2018. 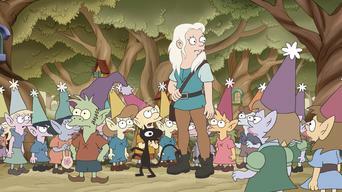 We'll keep checking Netflix Denmark for Disenchantment: Part 1, and this page will be updated with any changes. Princess duties call, but she'd rather be drinking. 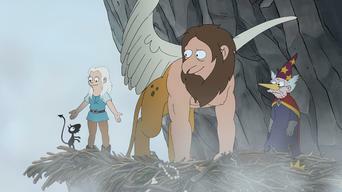 Free-spirited Bean exasperates the king as she wreaks havoc with her demon and elf pals. Misadventure is her middle name. Unfortunately, "princess" is her title. 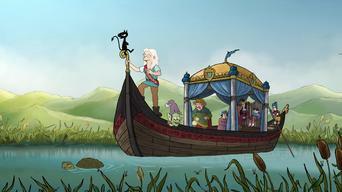 A madcap medieval quest from Matt Groening. 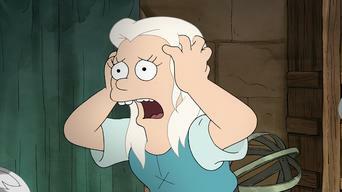 Season 1 of Disenchantment has 10 episodes. Because different Netflix countries have different availability for episodes, you'll need to check the episode listing below to see which are available in Denmark. Princess Bean already has the wedding day blues when a mysterious figure arrives, claiming he's her personal demon. 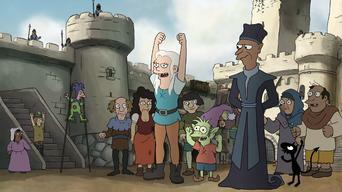 Elfo hates his happy homeland. Sorcerio declares that demonic possession is behind Bean's drunken exploits -- and things look dicey for Luci when the king hires an eerie exorcist. 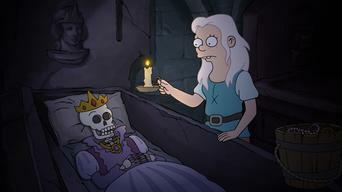 Banished from the castle by Zøg, Bean tries to work but has trouble keeping a job. 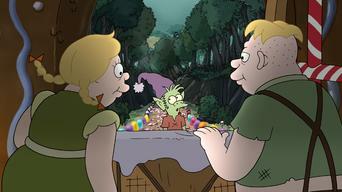 Elfo encounters a bizarre pair of siblings living in a candy house. Bean tries her hand at diplomacy after Zøg makes her ambassador to Dankmire, Oona's kingdom and an important ally for Dreamland. 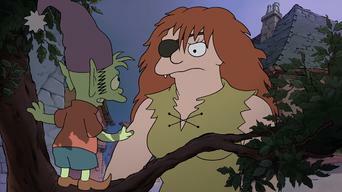 Elfo's been kidnapped! 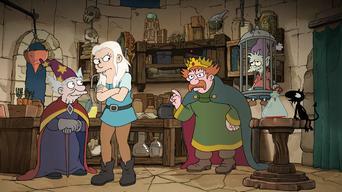 Bean, Luci, Sorcerio and the knights search for him, along with a magical pendant needed to complete the immortality potion.